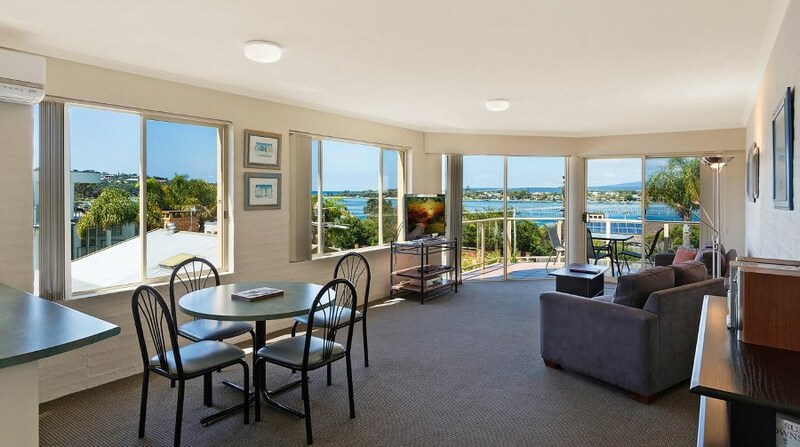 Excellent Main lake, Bay & ocean views. 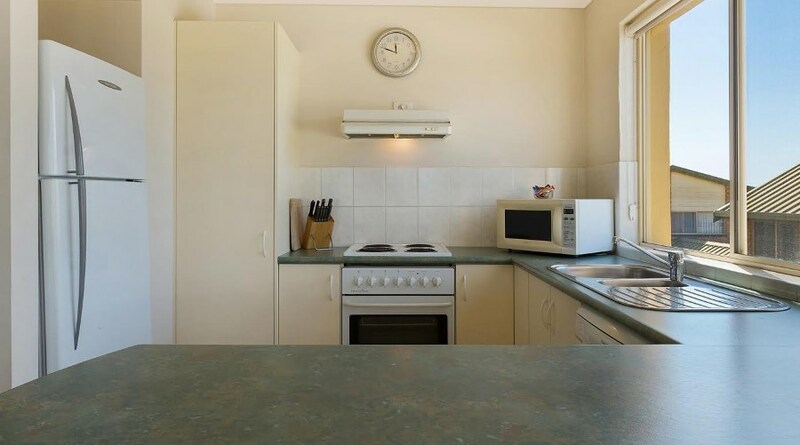 Fully equipped Kitchen & laundry facilities. Tour & Brochure Desk for Golf, Whale watching, fishing etc. 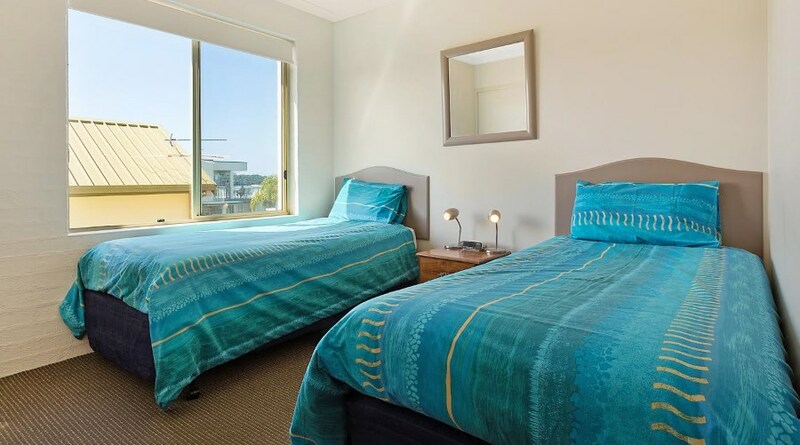 Short flat walk to CBD area, shops, clubs & restaurants. Your hosts, Ken and Debbie, will be happy to assist you with any enquiries to make your stay a pleasurable one. 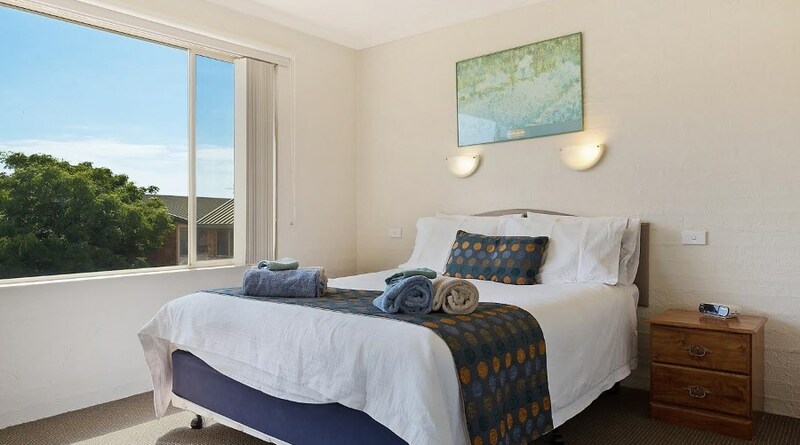 Welcome to Baywatch Luxury apartments where you can experience magical Merimbula at one of the premier fully self-contained complexes on the South coast. At Baywatch all 6 luxury apartments boasts generously proportioned modern well designed two bedroom, two bathroom apartments all with Spa baths, full laundry and kitchen facilities and an open living area that provides direct access to your private fully furnished balcony where you can sit, dine and relax whilst admiring the impressive water views of Merimbula’s “Main” Lake, the Bay, the Ocean as well as superb panoramic views of the surrounding mountains. Baywatch is ideally situated about 600 meters from the centre of town. 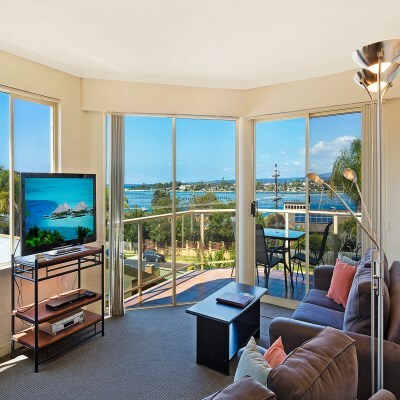 Enjoy a short 5 minute flat walk to all clubs (RSL 200 metres), restaurants, cafes, shops, amusement centres etc or simply stroll along the beautiful main lake foreshore. 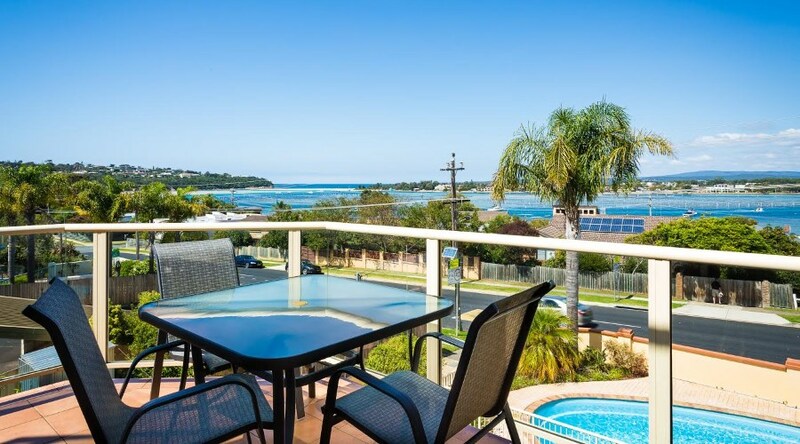 Spencer park is the only park area on the entire main lake of Merimbula that has a playground, BBQ facilities as well as Gorgeous white sand ideal for sunbaking, swimming, snorkelling or fishing and is only a 250 meter flat walk to the left of Baywatch. Whether you are travelling solo, one or two couples or a family of up to five Baywatch can comfortably accommodate and cater for your needs. 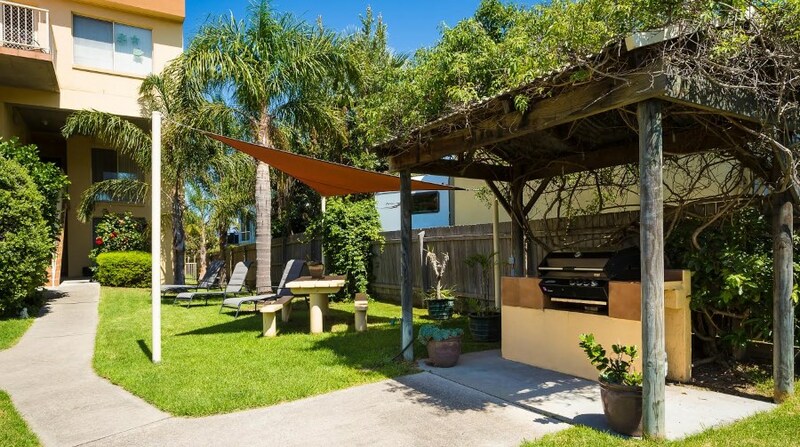 As there are only six large two bedroom apartments in total we can assure our guests have a peaceful stay with easy access to all amenities including outside Bbq and dining area, sun lounges at both ends of the complex and the solar heated pool where you can enjoy a refreshing dip or relax and read a book. There is also under cover parking as well as additional onsite parking for those who bring a boat, trailer, two cars etc. 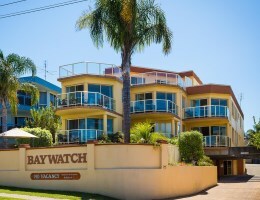 The smart design of Baywatch have the apartments built on top of the ground level carpark. This ensures the first level of apartments therefore are raised and become a second storey elevated level from your private balcony thus providing better views but also deliver the advantage of possessing no stairs at all to access your apartment. 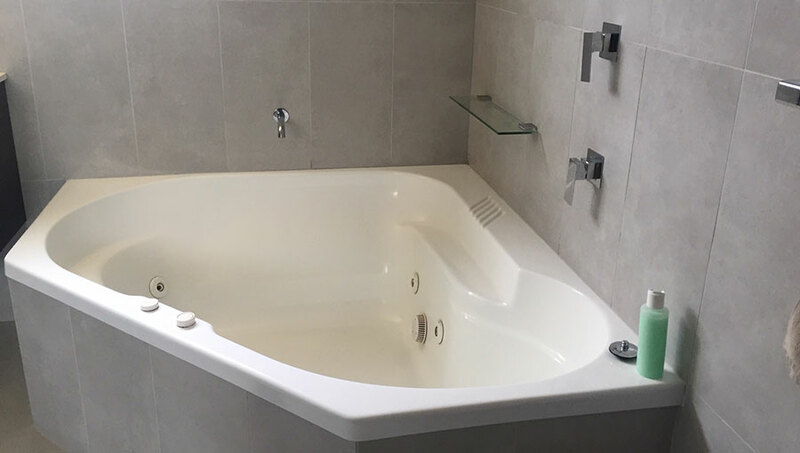 This is ideal for guests who struggle with stairs, have young children, prams etc but still would like water views. 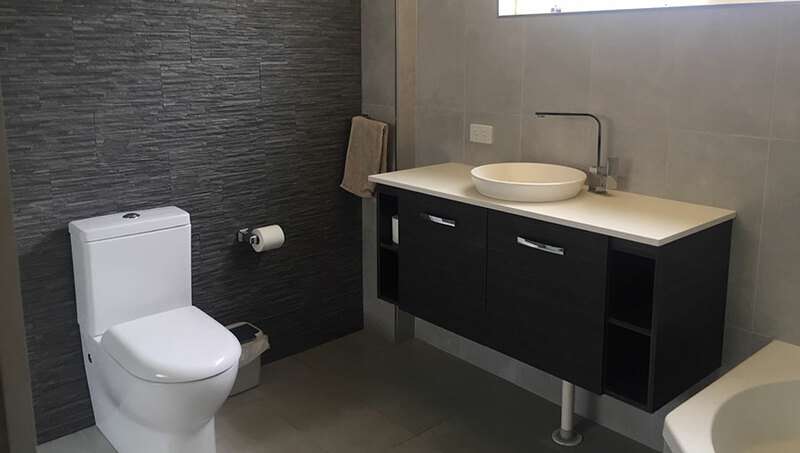 The design therefore ensures that the top level of apartments possess a third storey view with just the one set of stairs to access the apartment and provide stunning all-round views. The additional parking allows all guests to go straight from their car into their apartment. Baywatch apartments and magical Merimbula, the complete and perfect combination for your next holiday on the delightful Sapphire Coast! “Fantastic large open living apartments. Great views & location, very close to the town centre, clubs restaurants and main Lake. Very quiet, enjoyed our own private balcony to dine on or take in the views, plenty of parking, a fantastic BBQ and pool area. Lovely hosts, perfect holiday destination, we can’t wait to return”. “Wonderful family holiday! Spotless apartment, roomy had everything we needed with full kitchen & laundry. Loved the pool strolling to the shops for dinner, ice creams etc & the spacious balcony for our meals whilst admiring the view. Spencer Park is very close, great to play, swim, fish, relax & picnic. Definitely recommend Baywatch to anyone. Excellent accommodation all round. Received a friendly greeting and shown to our apartment on arrival. The apartment was spacious, open and aired, everything was clean and comfy with all the creature comforts and more on offer. Easy to walk to just about everything. Loved the sun on our furnished balcony, wish we could have stayed longer. 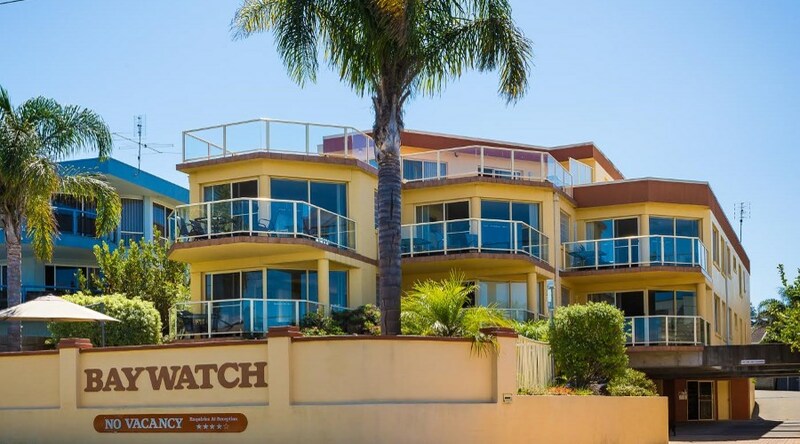 All six Baywatch Apartments are identical in size and quality. 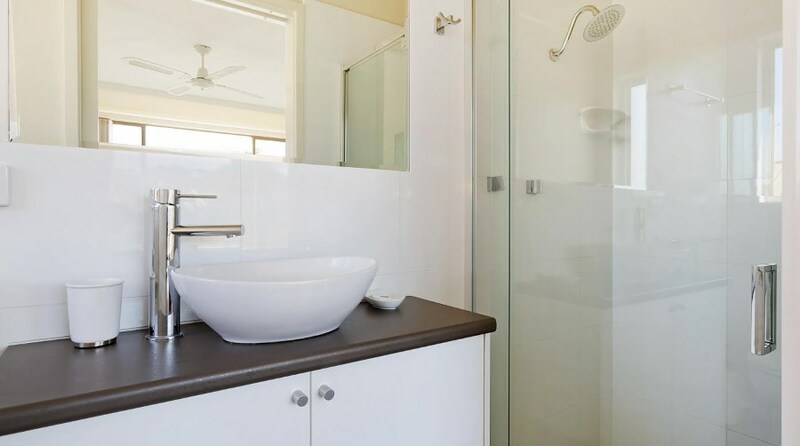 Each has two bedrooms, two bathrooms, two toilets, separate living and reverse cycle air conditioning.